Note: I don’t review substandard books. I make time to read a lot, but I don’t have a lot of time to review books, so what I do share, I’m sharing because the book has been very influential and helpful to me in my life, and I believe it will also help others. If you want to be a leader and influencer, these are must reads. Succeed or fail, it’s really up to you. If you don’t feel like it’s in your control, you will after you read this book. Tags: Psychology, success, positivity, leadership, entrepreneurship, sales, parenting, influence. You feel like you’re always negative and you want to be more positive. You always seem to be losing instead of winning. You want to excel as a leader, entrepreneur, parent, etc. It’s one thing to say “Think positive and things will go better for you in life!” When people say such things we often want to fill the room with uppercuts. This book doesn’t do that. Dweck dives into how to be more positive in specific, tangible detail. Her primary tool is to illustrate how the world can be divided into two groups of people; those with a fixed mindset, and those with a growth mindset. People with a fixed mindset think intelligence is static. You’re smart or you aren’t. As parents we reinforce this mindset when we tell kids “Wow, you’re so smart!” The message our kids hear is “I need to appear smart and avoid looking dumb at all costs.” This discourages them from confronting challenges and overcoming obstacles. After all, if you avoid challenges altogether you can always say “I could have done that, but I chose not to.” Those with a fixed mindset see effort as a waste and believe good things should just magically come to them. They ignore or are offended by criticism. They feel threatened by the success of others. They say “If someone else wins, I lose,” so they try to drag others down. It leads to a stunted life of missed potential and needless misery. 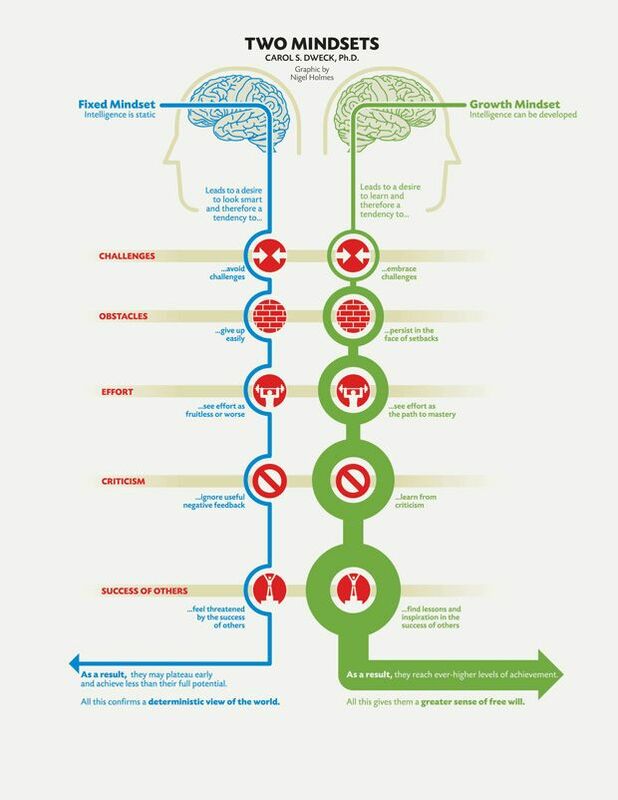 People with a growth mindset believe intelligence can be developed. They have a desire to learn so they embrace challenges, keep on going when they experience setbacks, and are not afraid to work hard because they see it as the path to achievement. They embrace criticism from others, because they see it as an opportunity to learn (customer feedback/lean startup anyone?). They don’t see the success of others as a threat, but as inspiration. They say “Hey, if he can do it, maybe I can do it!” They see the world as within their control. They have greater confidence, are happier, healthier, and live longer. They accomplish more. Which one do you want to be? The challenge is that developing a growth mindset and encouraging it in others isn’t 100% intuitive. 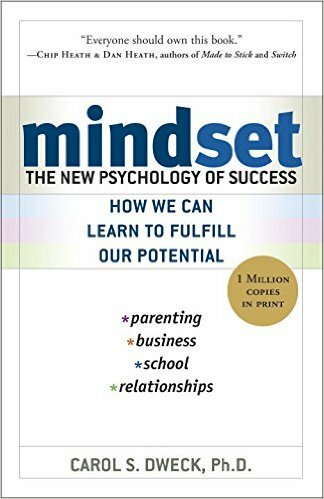 This book helps you understand the two mindsets, why you want to have a growth mindset, and gives you tools to avoid the fixed mindset and develop the growth mindset.